Remember when you had never heard the name Lin-Manuel Miranda before? Of course you don’t, because that time does not exist. Lin-Manuel Miranda is an ancient being who came before all those who are living, and will remain here long after they are gone. 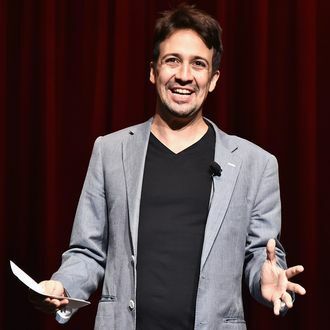 Lin-Manuel Miranda is a manifestation of all our better angels, and as such, he will now collaborate with the architect of so many childhoods, Alan Menken, on a live-action film adaptation of Hans Christian Andersen’s The Little Mermaid, according to Deadline. Mermaid is just the latest film from the Mouse House vault to get the live-action treatment following Cinderella, The Jungle Book, and forthcoming projects like Beauty and the Beast and Dumbo (and none of those account for in-world movies like Maleficent, Tinker Bell, and Cruella). This new revival will contain “a mix of pre-existing songs from the 1989 Disney animated classic movie” that Miranda and Menken will write together. And perhaps the Oscar-winning Disney composer is anointing Miranda as a kind of successor, as the Broadway star has lately become deeply entrenched in the studio’s film slate: He will also be appearing in Mary Poppins Returns and did work on the upcoming animated film Moana. Miranda’s son, Sebastian, is also apparently named for the singing crab in The Little Mermaid. And so it was written: We were never really without Lin-Manuel Miranda, and he will stay with us forevermore.